I’ve had these puppies for about three weeks now, and I have to say I’m pretty obsessed with them. 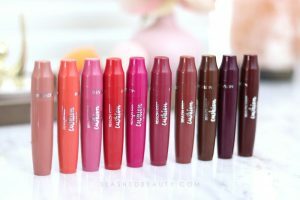 You all know that I don’t generally like lip glosses, but the Maybelline Color Elixirs have such a unique formula that is a blend between a lipstick, lip balm and lip gloss, combining all of their best qualities. I’ve been reaching for these more and more for my day-to-day looks because they are low-maintenance and very easy to work with, while still offering luxurious color and texture. Because of their high price in my local drugstores, I don’t think I’m going to buy any more shades for now until there’s a really good sale (although Vision in Violet is calling my name!!). Rite Aid constantly has 40% Off Maybelline sales, which would be the best opportunity to buy these if you’re curious. If you love the convenience and shine of lipgloss, the color payoff of lipsticks and the feel of lip balms, this product will be a winner for you. Have you tried the Maybelline Color Elixirs yet? I need to bite the bullet and purchase these! 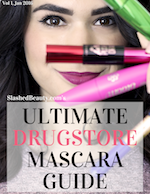 There’s a pretty great deal at CVS on Maybelline right now – buy $15 get $5 Extra Value Bucks – I think I’m going to nab a few more of these! WOW that purple is craz-ay! I haven’t found them yet, but these looks great!! Intoxicating Spice looks so pretty! I need that one! I bought the color Blush Essence last week, and I’ve been wearing it everyday. The formula is absolutely lovely. I just tried out a few of these and I love everything about them! Vision in violet looks fabulous! The violet one is gorgeous! Right? Not sure I can pull it off but it works with Katie’s milky skin so well! im loving the vision in violet so pigmented!